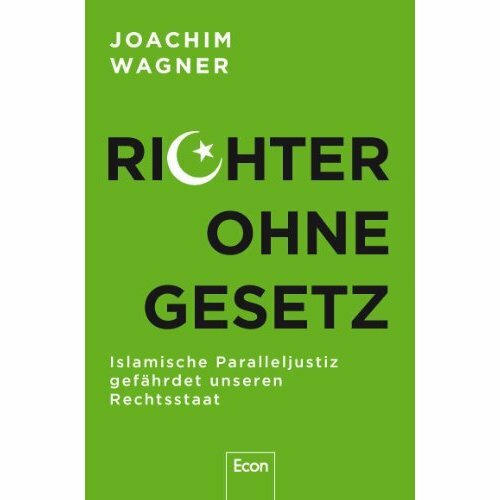 "Judges without law: Islamic parallel justice endangers our constitutional state"
Using Sharia law to settle disputes can be innocent, but it can also undermine Western ideas of fairness. Journalist Joachim Wagner, author of a new book on parallel justice, discusses the influence of Islamic arbitrators on Germany's legal system. SPIEGEL: Mr. Wagner, you spent nine months researching the Islamic shadow justice system. What kind of a world is it? Wagner: Very foreign, and for a German lawyer, completely incomprehensible at first. It follows its own rules. The Islamic arbitrators aren't interested in evidence when they deliver a judgment, and unlike in German criminal law, the question of who is at fault doesn't play much of a role. SPIEGEL: What laws do the arbitrators follow? Wagner: First, they get an idea of the facts. They talk with the perpetrator's family, who are generally the ones to have called the arbitrator, and with the victim's family. They ask: Why did this happen? How bad is the damage? How serious is the injury? But for them, a solution to the conflict, a compromise, is the most important thing. Who's right and wrong, guilt and atonement, these aren't particularly relevant. SPIEGEL: What's wrong with two parties attempting to resolve a dispute between themselves? Wagner: Nothing, initially. The problem starts when the arbitrators force the justice system out of the picture, especially in the case of criminal offenses. At that point they undermine the state monopoly on violence. Islamic conflict resolution in particular, as I've experienced it, is often achieved through violence and threats. It's often a dictate of power on the part of the stronger family. SPIEGEL: How prevalent is the phenomenon? Wagner: As far as I know, very prevalent. There are no reliable statistics, since these mediations take place almost exclusively in secret. But criminal investigators who specialize in organized crime and violence within Muslim immigrant families have confirmed for me that in nearly every conflict in this milieu, the first attempt is to find a solution outside the German justice system.